Hey, OBS friends, it’s wrap-up week! How did this study go by so fast? Like an unforgettable six-course meal, we have savored every week with you, and have loved seeing your foodie photos, hearing your stories, and interacting with you in the weekly watch parties! You have inspired us and taught us so much… and so has Margaret! Wasn’t she a great Bible teacher… always bringing it back to the message of the Gospel and our relationship with Christ? This study brought out such a different way to approach food, how to enjoy it, appreciate meals, and value time around the table with family, and neighbors, and friends. I’ve said it before, but something beautiful — something mentally, emotionally, and spiritually healing — happens when we gather together around the table and share an appetizing meal. Especially when we ask God to pull up a chair! 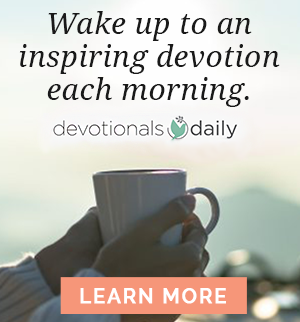 I hope you’ve enjoyed our culinary journey through the Bible, discovering all the rich connections between food and Scripture — and what that reveals to us about God. As we go forth in the weeks and months to come, let’s carry this with us…. 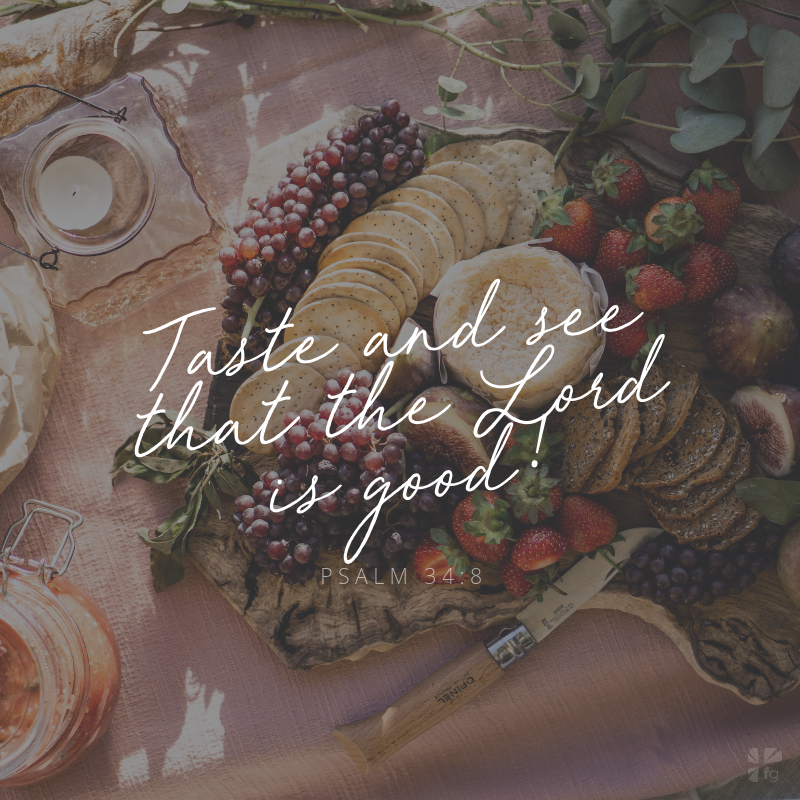 let’s feed our soul on God – let’s feast on His goodness. Because truly, my deepest heart hunger it to know God more through this study, to be satisfied in Him, and balanced in the way I savor His goodness. You, too? Let’s meet Christ at the table with hearts full of thanks. What was your favorite part of the study? Come share with us in the comments on the blog (or Facebook group)! We’d love to hear your final thoughts. And don’t forget, now is the time to finish u, re-watch the videos, and review our study guides to glean everything we can from Taste and See! All of the videos are available for one more week – now through Sunday, March 10 – so pop some popcorn and catch up on any sessions you may have missed! Thank you for being a part of this experience with us! 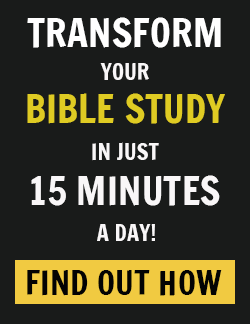 Drum roll, please!… Our next study (in preparation for Easter) begins March 18th! 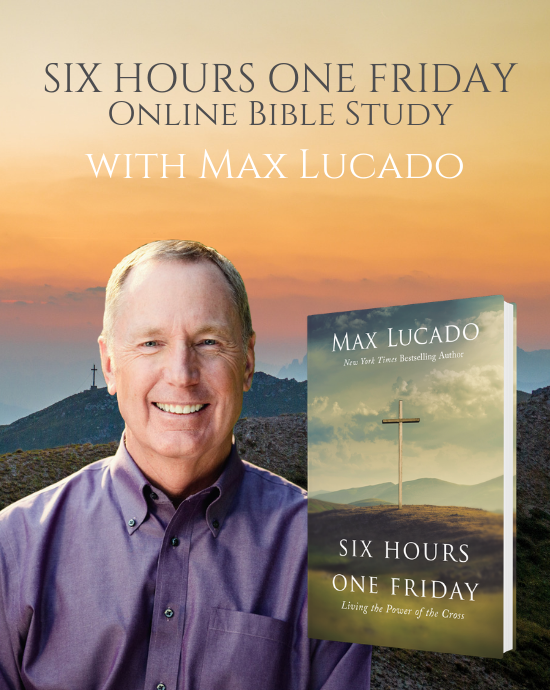 We will be studying Six Hours One Friday by Max Lucado. 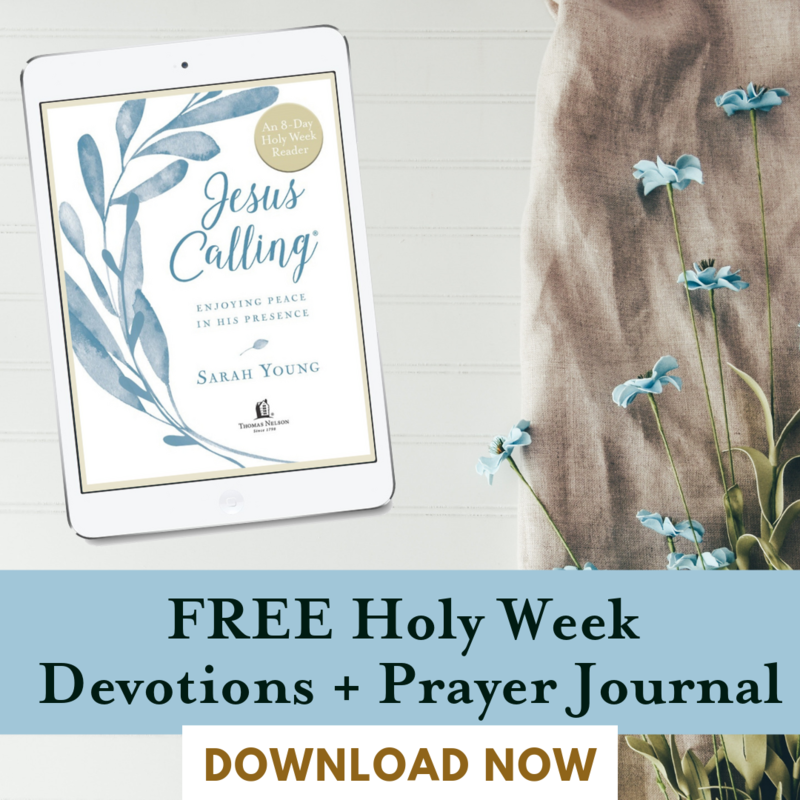 This wonderful study will help us ready our hearts for Easter and you can join our community (over 20,000 people already signed up!) or invite your family, Bible study group, or friends… especially those who don’t know Jesus yet. 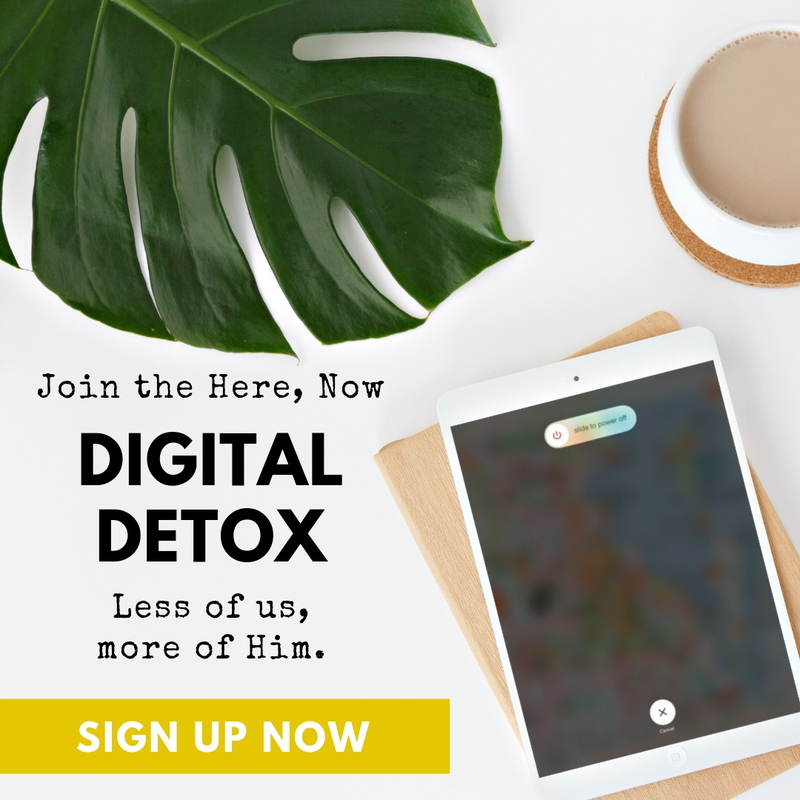 Registration is now open, so if you haven’t signed up yet, make sure you go to www.faithgateway.com/obs to register today and get your FREE access to four teaching videos with Max! We’re studying three important encounters Jesus had with women on his road to the Cross, the final hours of our Savior, and the truths about His life, crucifixion, death, and resurrection that will change our lives and perspectives forever! Jesus, we love You. Thank You so much for all that we’ve learned through the Taste and See Bible study. We have tasted and seen that You are good! Help us to remember the beauty of the table and the life that can be found in Your provision of food and the relationships created there. We want to be ambassadors of Your message of hope and peace as we share meals with those we love and welcome strangers in, too. Thank You for Your example of gratitude and dependence and hope! We love You, Lord! Amen.